What do you feel when you see the word joy? Does it remind you of someone you know named Joy? Or maybe an individual who is an annoying cheerleader type who just has her head in the clouds? Sure, good situations can make us feel something like joy. If Jesus showed up on my doorstep and took me for a ride in His '68 Corvette Stingray, you better believe I'd be excited. But joy is different. Joy is a gift from God we only have to accept that is rock solid despite our circumstances, not because of them. A Corvette isn't joy ... but Jesus showing up? That is joy. And He does show up. I only have to look. 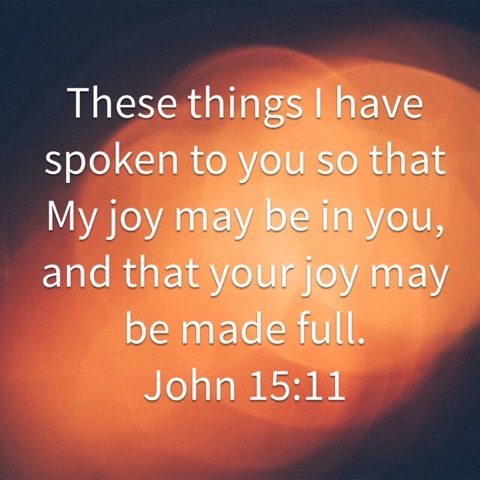 When I started searching the Bible for occurrences of the word joy, I noticed a pattern. God was always present. 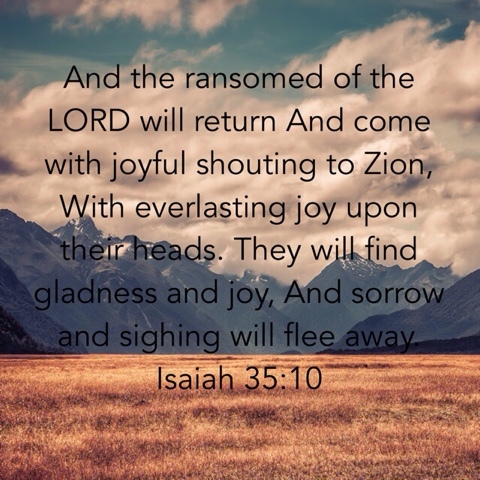 He was the source of the joy or He was the reason for rejoicing. There is no joy apart from God. The things we might call joy that are of the world are imitations of true joy. They are distractions set up to convince us to settle for something less than joy and pursue a type of satisfaction that is always just out of reach, seized on momentarily before it flies again from our grasping hands. 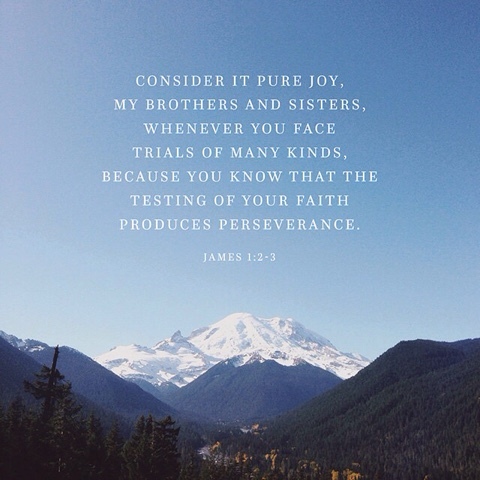 We can rejoice in trials because we know He will not waste them. They will bring Him glory - and isn't that what we were created for? Joy. Others are coming to know Christ and to learn about Him. More souls snatched from the jaws of hell ... Joy. 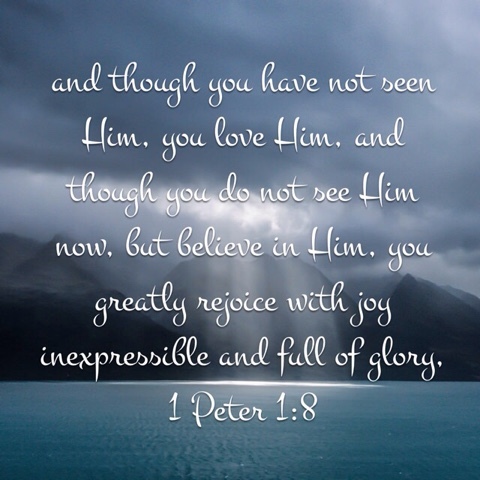 Just recognizing who God is ... seeing He is all that is Good, and Light, and Holy ... His complete glory may be too much for our human eyes but just seeing glimpses of the one whom our souls love ... Joy. He came for us. To rescue us. The ultimate knight in shining armor ... the one true superhero. He will come back for us again. No matter what we are going through here, it will eventually end. Sorrow will cease. Pain will be erased. Death will be conquered. Joy. 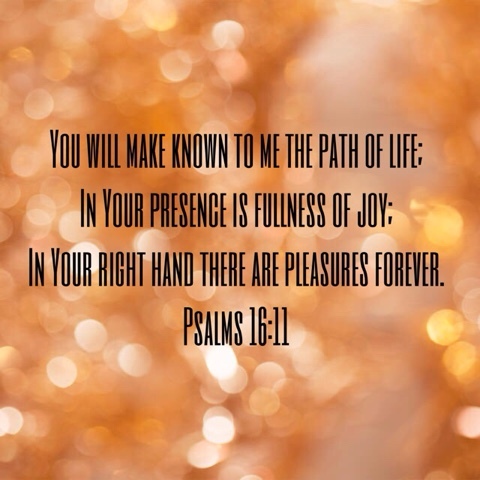 The more we seek His presence and ask to see His hand, the more joy we will feel. Dear friend, I have experienced it. When I focus on this world, and where/what/who I am compared to where/what/who I could be ... it can turn into a frustrating slide into a dark and depressing place. If you don't believe our enemy is tempting you to go there and remain fruitless you are fooling yourself. When we remind ourselves every day who He is, when we speak that truth to Him as prayers and praise ... He will be victorious. He is good. I may not understand it but He will be glorified forever and ever amen. Joy! When you feel the joy that is the fruit of the Spirit it is unstoppable. It isn't the "this will all be over once I drive through that first puddle" excitement a lump of fiberglass could bring. It is an "I don't care what the enemy throws at me!" inextinguishable flame whose source is outside yourself. It doesn't burn you up and exhaust your resources ... it makes a little into plenty and the barbs and snares of life brambles and dust that will become smoke in the crucible that tests our faith. If you look for joy, when you find it God is there. If you look for God you will find joy every time.